✈✈✈This X12 drone is a professional drone for rc fans. Just have a look, you will love it. It looks like Mavic but not that expensive. The altitude hold function, letting you have a better flying experience. 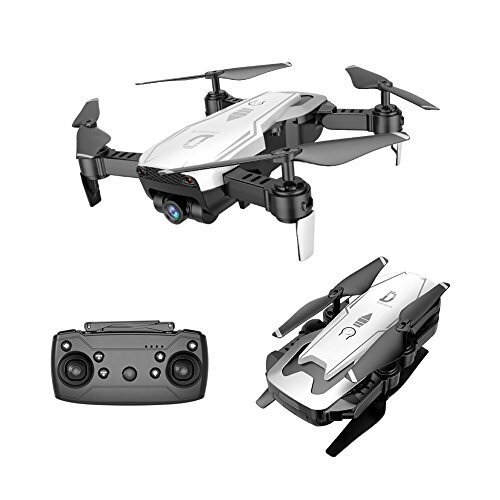 What's more, Wifi FPV real-time image transmission system and 2.0MP camera can bring you with really beautiful and high definition photos and videos. ✈✈✈Wifi control: to realize real-time transmission for live video by pairing the mobile app to the drone wifi./ 2.0MP wide angle camera: can capture and record every beautiful and unforgettable moment. ✈✈✈One-key taking off/landing: makes the operation more convenient. /With one key automatic return function: the plane can find the way home easily. ✈✈✈Altitude hold: provide convenient operation and stable flight, specially for beginners. /Headless mode: completely solving pilot loss-of-orientation problems.